FriendGrief: Have You Lost a Best Friend? I’ve been clear that Friend Grief is a place for those who have grieved the death of a friend to find others who have ‘been there, done that’. It’s helpful, but it’s not meant to be a therapy session (not that there’s anything wrong with that). Sometimes all you need to help you get through this kind of grief is the knowledge that you are not alone. Maybe your friend is still very much alive, but for whatever reason, you’re estranged. That lack of connection troubles you. You want to find a way to reach out, to heal whatever rift may exist, and renew your friendship. Your friend has a serious health condition (like stroke or dementia); the body is still present, but you have lost your friend. Your friend dies, leaving you with a profound loss, unacknowledged by others; therefore, you have no social support for your grief. Dr. Beth Erickson and Dr. Karen Gail Lewis, best friends themselves, are offering a free teleseminar on the topic of losing a best friend. It will be held Thursday, May 10, at 8:00 pm Eastern (7:00 Central; 6:00 Mountain; 5:00 Pacific). This will be an opportunity to hear from them and other callers about topics such as: what support you would have wanted, what you did get, what you may still need to help as you heal from this tremendous loss. 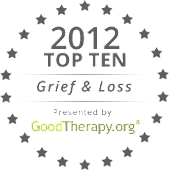 It's also an opportunity to learn more about the grief process and its life-long affect -- even as you move on in your life. This will be an informative and healing experience for those who attend. NOTE: Even if you can’t make Thursday evening, register so you can get a recording of the call. After this free teleseminar, Dr. Beth will be offering a three week follow-up seminar for those who would like to talk more about their loss and understand how to grieve and move on – while recognizing the life-long impact of the loss on their lives. This will also be open to those who have not participated in the teleseminar. Dr. Beth and Dr. Karen Gail are marriage and family therapists (and best friends). Between them, they have over 80 years of experience. Given the mobile society, they both do telephone consultations. 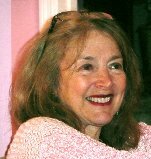 Dr. Beth has authored three books, one of which is focused on loss, her primary clinical specialty. For a number of years, she has hosted an internet radio show called Relationships 101. 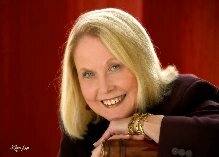 Dr. Karen Gail is author of books on relationships, single women, and adult siblings. For the past 17 years, she has run Unique Retreats for Women -- fun and personal growth weekends. We all grieve in our own way, and those who grieve a friend can often feel that no one understands what they’re going through. Anything that can help you – a teleseminar, therapy, this blog – is worth exploring. I hope you’ll consider this opportunity to share your grief – for any kind of friend loss – and learn something that can help you.